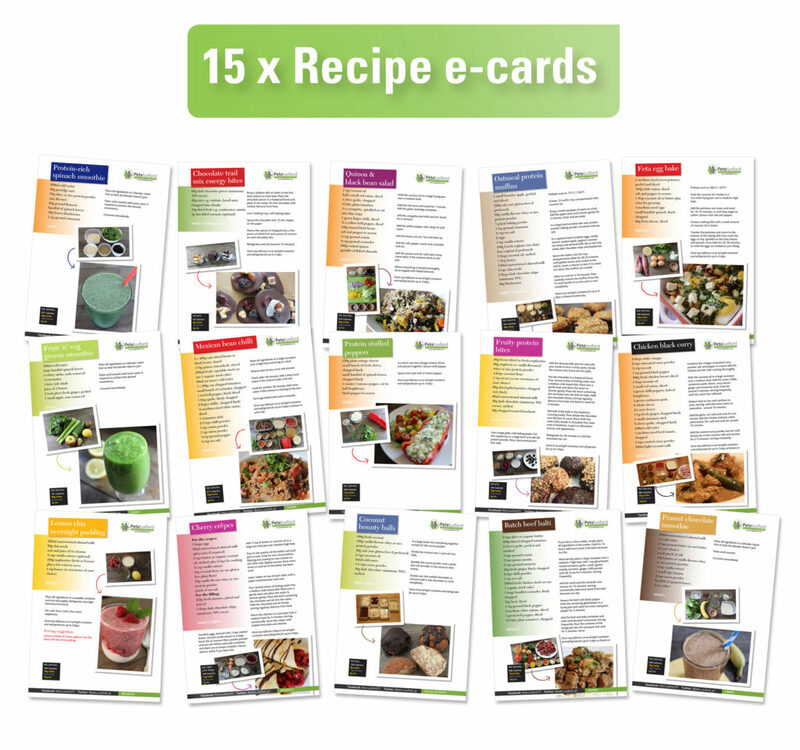 at the normal rate of £25 per month for the Recipe e-cards and £35 per month for the Recipe e-book. We offer a no fuss cancel any time policy (7 days notice required). Yes! 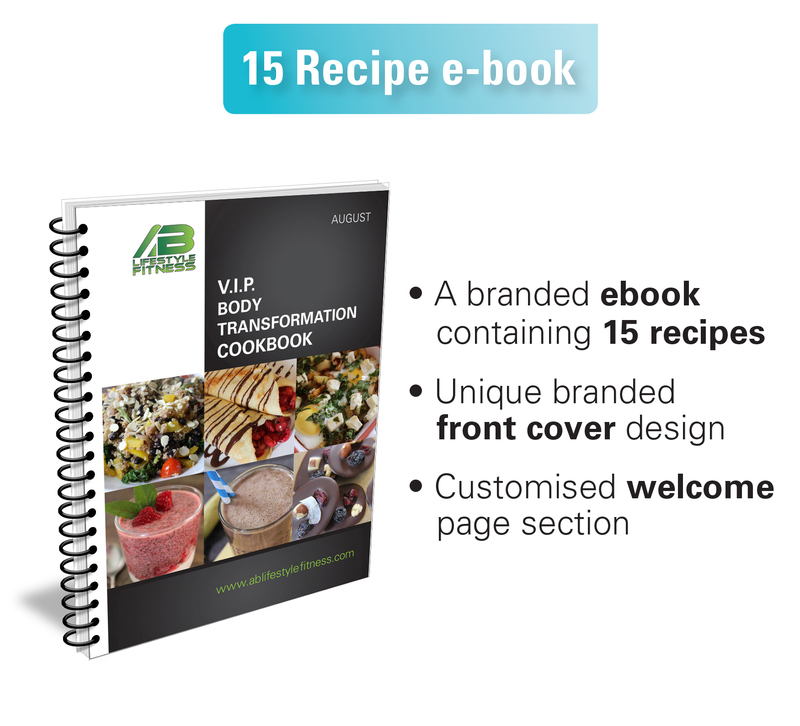 I want to save 66% on getting my own branded recipes! PLUS! We'll also include 2 branded videos - For Free! Branded video recipes are available after your first month as a bolt-on option to your monthly membership. Email naomi@fitprorecipes.co.uk for more details. 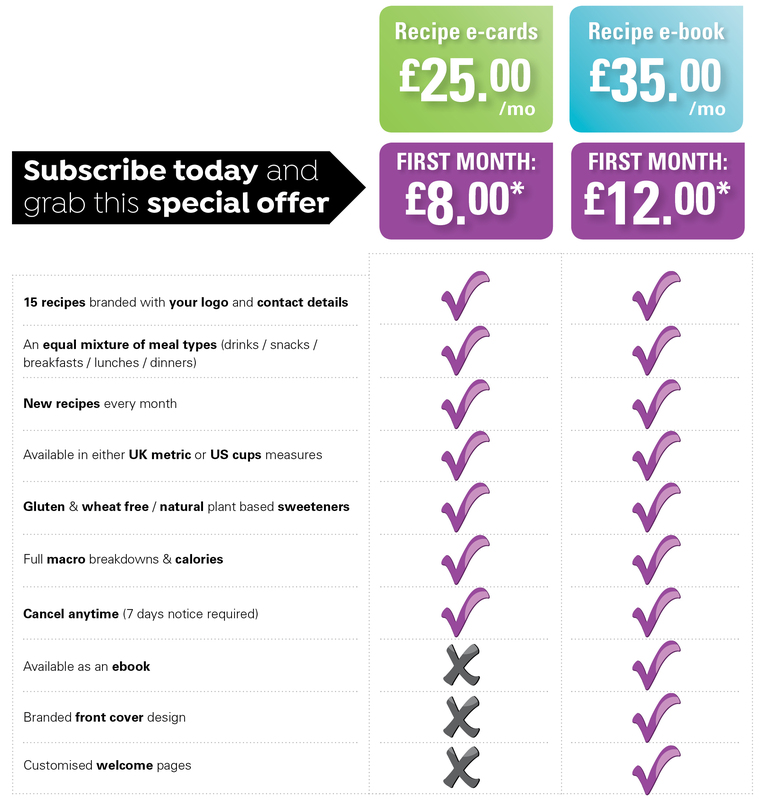 the normal rate of £25 per month for the Recipe e-cards and £35 per month for the Recipe e-book. Naomi, I really do need to let you know that these recipes, coupled with the recipe book I got from you a few years back are awesome. I no longer struggle giving any nutritional guidance to my clients, and the immense arsenal of recipes I now have means they will continue to benefit for a very long time. 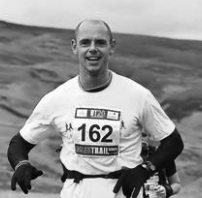 I extend a mahoosive THANK YOU to both you and Alan, for passing on such great recipe ideas and helping me to add huge value to my fitness business. Thank you once again. If any other FitPro’s out there are struggling with ideas such as this, I will highly recommend they get in touch. Just received my second fantastic cookbook from Naomi at Fitpro Recipes. These publications are not only outstanding value but the service you receive is amazing. You can choose not only the recipes you like for your clients but the colour scheme to suit your brand and how it looks. And believe me every single one of my clients are highly impressed at the quality and simplicity of each and every recipe. Simple ingredients and easy to cook they are an amazing addition to treat your clients to but also sell to your potential clients giving you more strings to your bow! I can't recommend these books highly enough! Looking fwd to trying the new recipes out! Don't miss out! We'll be putting the prices back up again very soon!